Tammy has served for three years as a Member of the Board of Directors, two years as the Hospitality Co-Chair, and Treasurer for one year. She was the Chairperson for the 2014 Educational Conference with the Orange County Paralegal Association as well as the Section Co-Chair for Corporate Law. 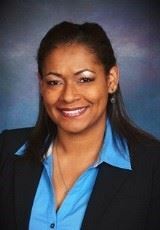 She has previously served as chair on the domestic violence committee for the Langston Bar Association and as Vendor Relations Chair for the Minnesota Paralegal Association. Tammy has over 17 years of experience as a paralegal, and currently works as a legal department supervisor for Danaher Corporation, in its KaVo Kerr division. In her role with KaVo Kerr, she manages the legal department, handles various types of corporate contracts, governance, mergers, litigation, employment, and product liability matters. She earned her degree in paralegal studies from Phillips College in 1993, and is a Certified Paralegal through the National Association of Legal Assistants. She has been a guest speaker on corporate law at University of California Riverside, University of California Irvine, and The Legal Secretaries Association. Tammy believes that her desire and dedication to mentorship in the paralegal community, and her belief in the Orange County Paralegal Association’s mission will allow her to serve as a successful President to all of our members. She brings many years of leadership skills to the organization and welcomes the opportunity to continue to use her skills in the position of President. She is confident that she is and will continue to be part of an already amazing team of leaders that have run the organization over these past 42 years.